The Kip Tailed Clouser is a fly that I fashioned specifically for shad. I say fashioned versus created, as there is really not much new to the fly, it is really just a modification/ combination of a couple of other flies and the techniques used to tie them. As the name suggests, the fly is modeled after the famous Clouser Minnow, but the fly is tied smaller than usual by using kip (calf) tail versus buck tail to attract shad. The Kip Tailed Clouser is more or less a hybrid of the original Clouser Minnow and the Crazy Charlie, taking queues from both flies in a unique way. The Kip Tailed Clouser is my “go-to” fly pattern for shad. It is what I tie on first as my search pattern. More often than not, it is so effective that it is the only fly I use all day. I simply change colors, weight, or size to match conditions throughout the day. It has caught countless fish at this point from shad, bass, sunfish, bluefill, catfish, and even gar. 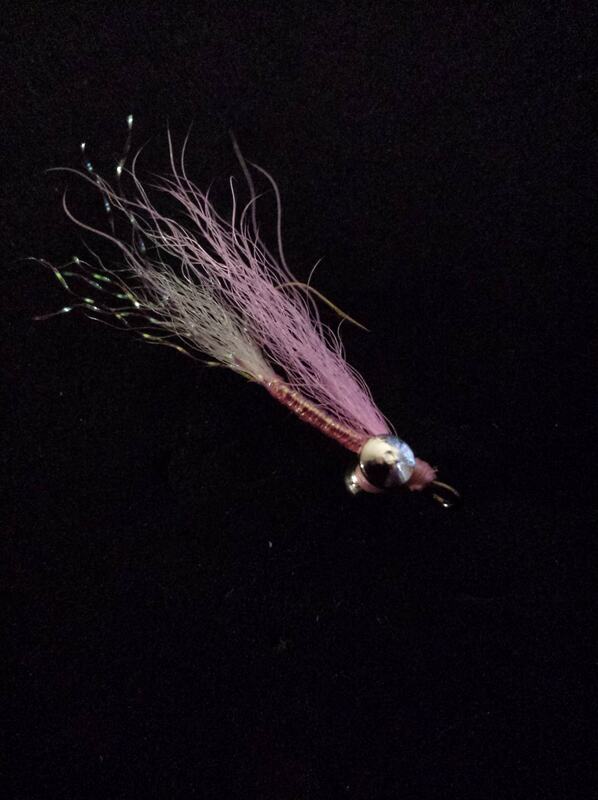 Posted on October 8, 2015 February 18, 2019 by chelenthalPosted in Econlockhatchee River Favorites, Flies, St. Johns River FavoritesTagged fly pattern for shad, fly patterns for shad, fly tying, shad flies, shad fly, shad fly pattern, shad on the fly.